The first thing people notice when walking into a room is the flooring. Hard surface flooring needs regular professional cleaning to maintain its appearance. Cleaning tile floors by hand is hard work, messy and uncomfortable. It is nearly impossible to get the deep-clean results that come with professional cleaning. That’s because grout is a porous material and collects dirt, grime and spills overtime often discoloring the surface. Regular mopping and spot cleaning with a toothbrush won’t reach the hidden dirt that lies deep within the pores of your grout lines. At Specialized Cleaning & Restoration, we use state-of-the-art equipment, combining high-pressure water and vacuum that extract dirt on the tile and in the pores of the grout. 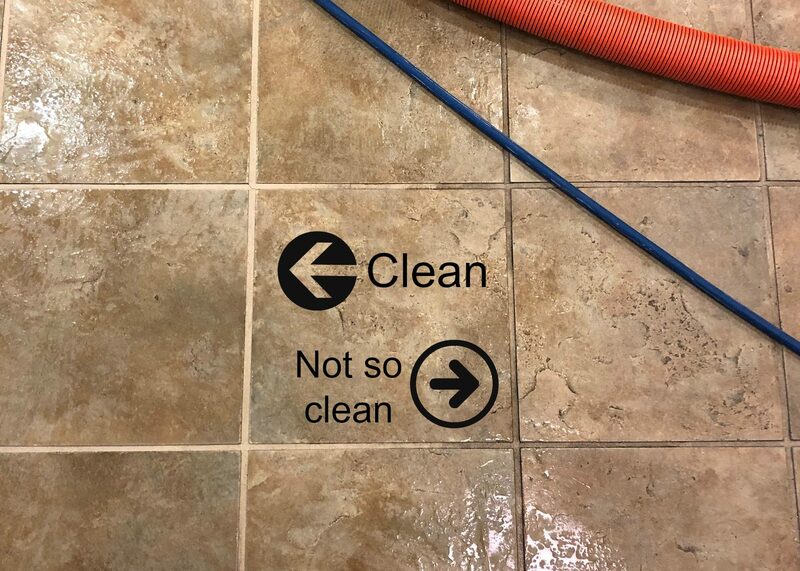 Although it is safe and gentle on your floors, our unique tile and grout cleaning is highly effective. Once the tile and grout is clean, you have the option to add a finishing coat of our clear sealant to the grout lines. This sealer protects your grout and keeps it looking great. The clear sealant penetrates the grout surface to create a protective barrier against spills and permanent stains. It also ensures that future tile and grout cleanings yield the best possible results.